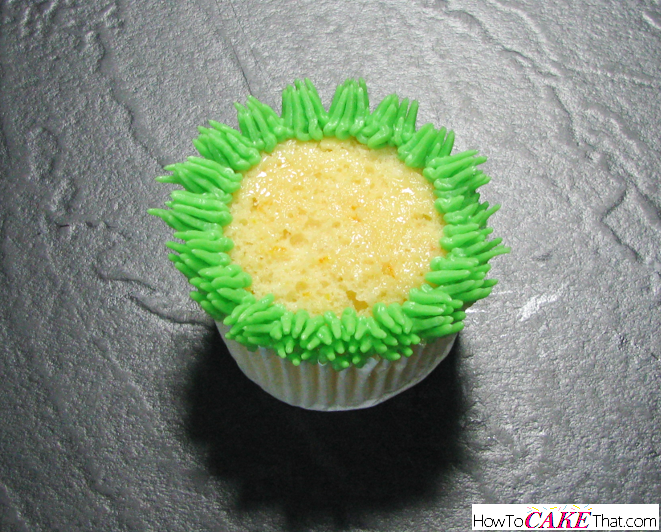 To begin this tutorial, color half of a batch of frosting with Wilton's leaf green gel food coloring. 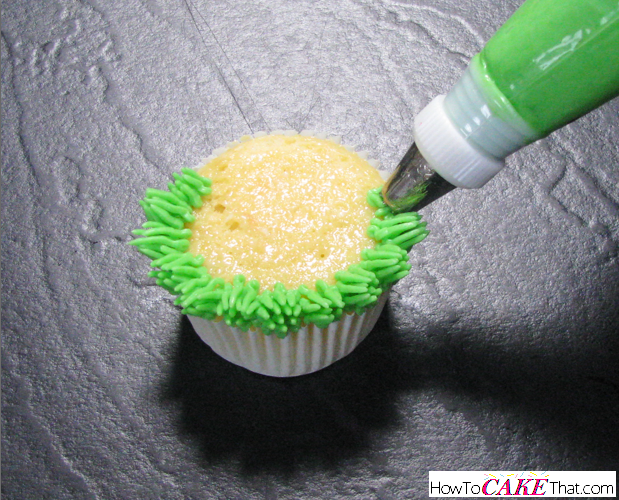 Fit a piping bag with a small grass piping tip (I'm using Wilton's 233 piping tip), and pipe green frosting around the edge of the cupcake. 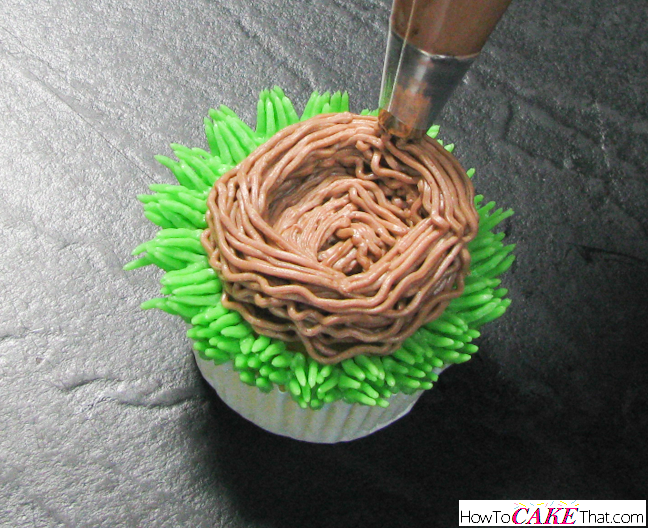 Next, color the other half of the frosting brown using either gel food coloring or unsweetened cocoa powder. 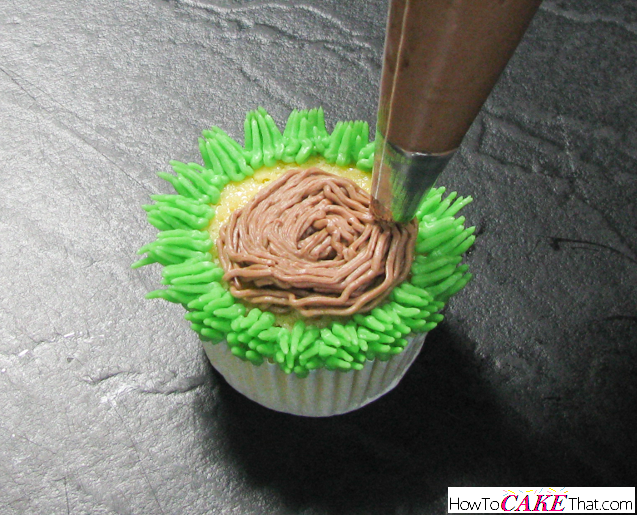 Fit piping bag with a small grass tip and fill piping bag with the brown frosting. 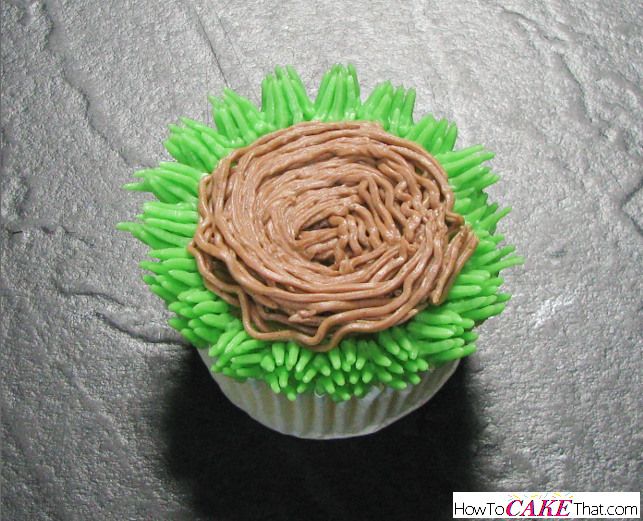 To form the bottom of the nest, begin piping from the center of the cupcake and swirl around to the edge of the grass... just like if you were piping a rosette. Now it's time to build the wall of the nest! Pipe a second layer of brown frosting around the edge of the bottom of the nest. Add a third layer, if needed. 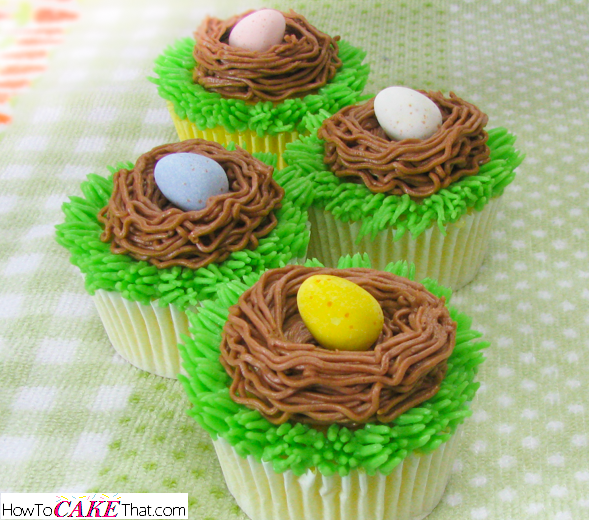 To complete the cupcake nests, place a Cadbury Mini Egg in each nest. Awww! Aren't they cute?! 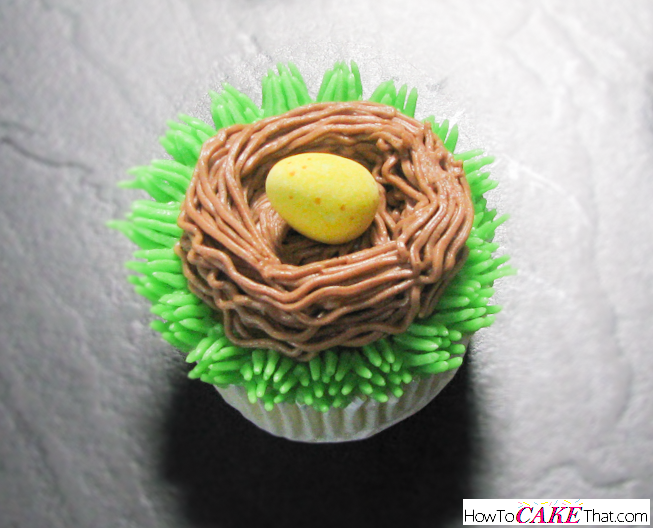 A perfect dessert to serve at Easter dinner! I hope you have enjoyed this tutorial! God bless! !